Wow, you guys, I am SO excited about today’s recipe!! 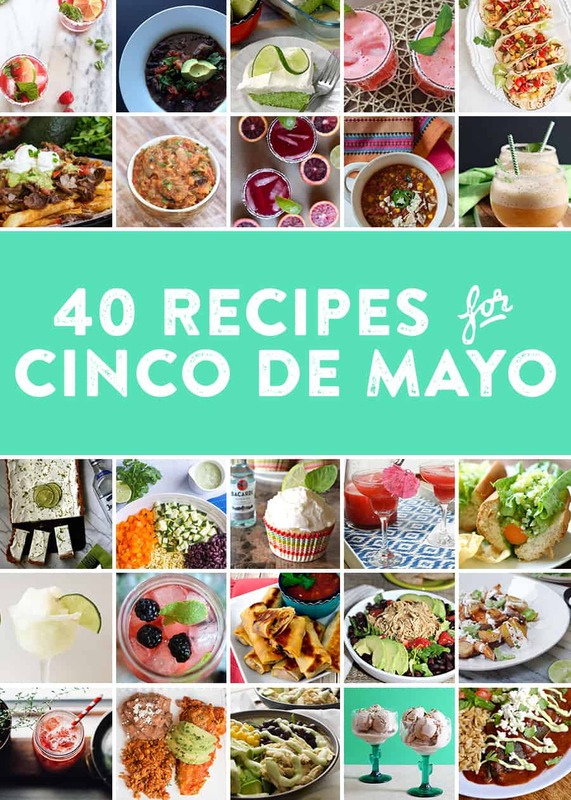 You see, next week is Cinco de Mayo and I am teaming up with a bunch of friends to share absolutely amazing sounding recipes. Carne Asada Fries? Tequila Lime Tart?? Seared Scallop Tacos with Spring Mango Salsa and Avocado Cream??? Churro Cake???? Are you dying with curiosity yet? Because I am. Needless to say, it was almost impossible to pick a single recipe to share today, but I did my best. And guys? You won’t be disappointed. Let’s just say this is the best Chicken Fajita Sandwich I’ve ever tasted. Bold statement — true fact. It’s sweet, spicy, and creamy…. This is NOT your average Chicken Fajita Sandwich! There’s peppers, jalapeno, and fresh guacamole in this. I really wish I’m eating this right now as I write. It definitely would have been a hit. All that to say that this was definitely not the last time I’ll be making this amazing Chicken Fajita Sandwich! What are you cooking to celebrate Cinco de Mayo? Chicken Fajita: mix chicken with chili powder, cumin, garlic powder, salt, and lime juice. Let it rest for 20-30 minutes. In a large skillet, heat 1 tbs oil. Add the chicken and cook for 5-10 minutes until chicken is fully cooked and no longer pink. Set aside. Add the rest of oil and add onion and peppers to the skillet. Cook for 3-5 minutes and add the chicken back into the skillet. Cook for another 3-5 minutes. Set aside. Guacamole: peel and mash avocados in a medium serving bowl. Add in the rest of the ingredients. Stir and season with to taste. Chill for 30 minutes to blend flavors. To assemble: lay a sandwich then add chicken fajita, guacamole, jalapeno, and cilantro. And top with another sandwich. Enjoy. Seared Scallop Tacos with Spring Mango Salsa and Avocado Cream by Domesticate ME! This looks incredible! I’m a huge fan of chicken fajitas, so I’m loving this low maintenance sandwich idea. And that guac! Thanks for sharing. Oh my goodness! This chicken fajita sandwich looks SO delicious! And what a great round-up of recipes for Cinco de Mayo!